It’s my favorite time of year! 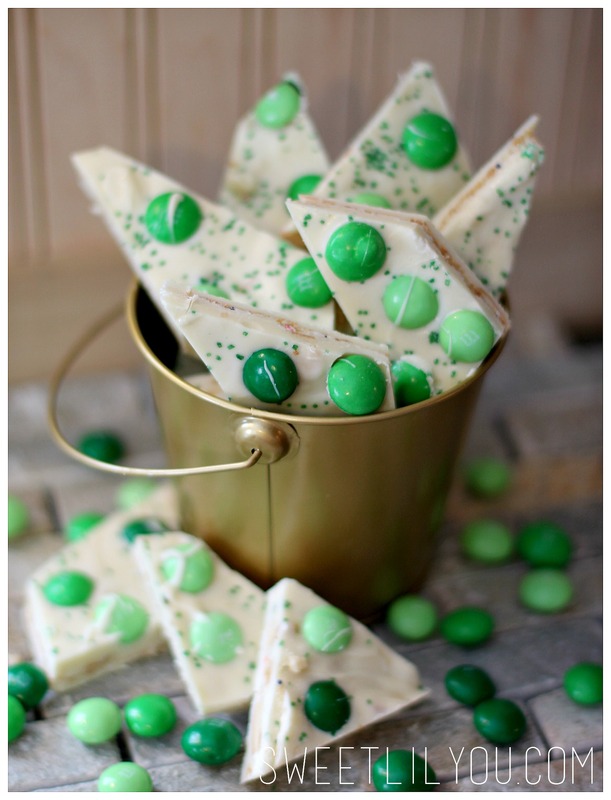 We have birthdays galore (including Dave’s, mine, ad Avery’s) Easter is coming, and before that is St. Patrick’s Day!! I love celebrating all these fun days! This year, Avery will be performing with her Irish Dance School and I cannot wait! They’ll be dancing for elementary school children, and residents at a local nursing home. It will be such a fun way to bring some joy and Irish Spirit to our community! I wanted to put together some treats for the other girls and the teachers, so I thought I’d try out a few recipes. 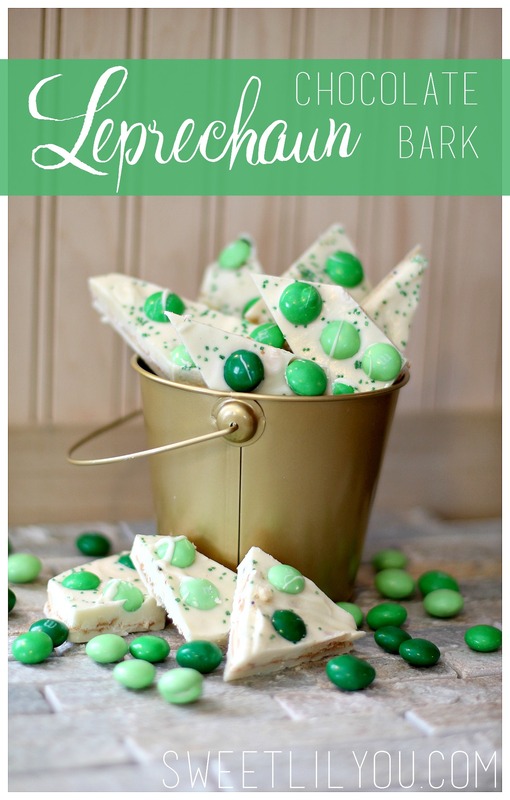 The first one was Leprechaun Chocolate Bark!! It’s simple, and you only need 4 ingredients. Melt one bag of chocolate, according to the directions on the package, and pour it out onto wax paper. Using a spoon, spread the chocolate out. Crumble your cookies, and spread the pieces on the warm chocolate, then pop it into the fridge to cool & harden. 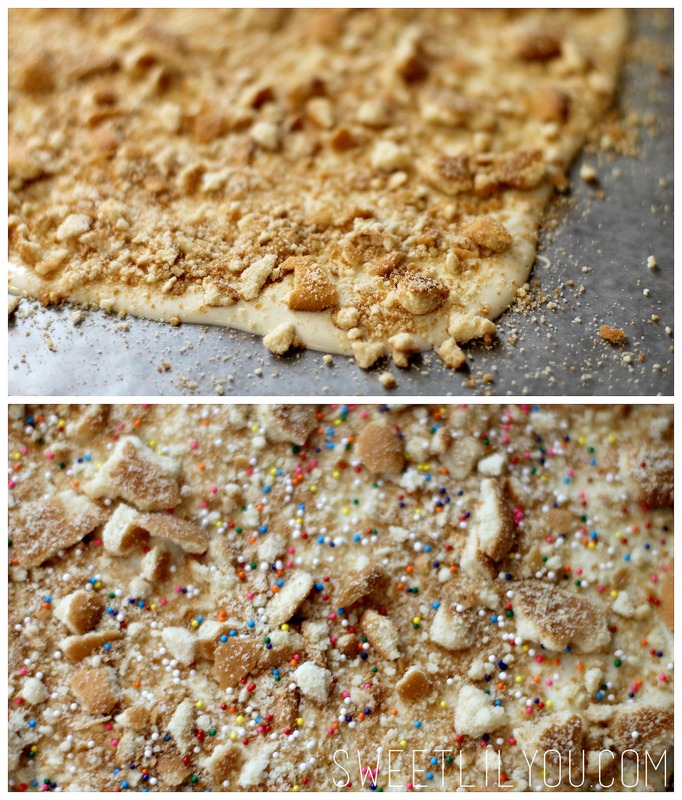 Avery had me add some rainbow sprinkles to the cookie layer! Once the bottom layer has hardened, you can melt your next bag of chocolate. 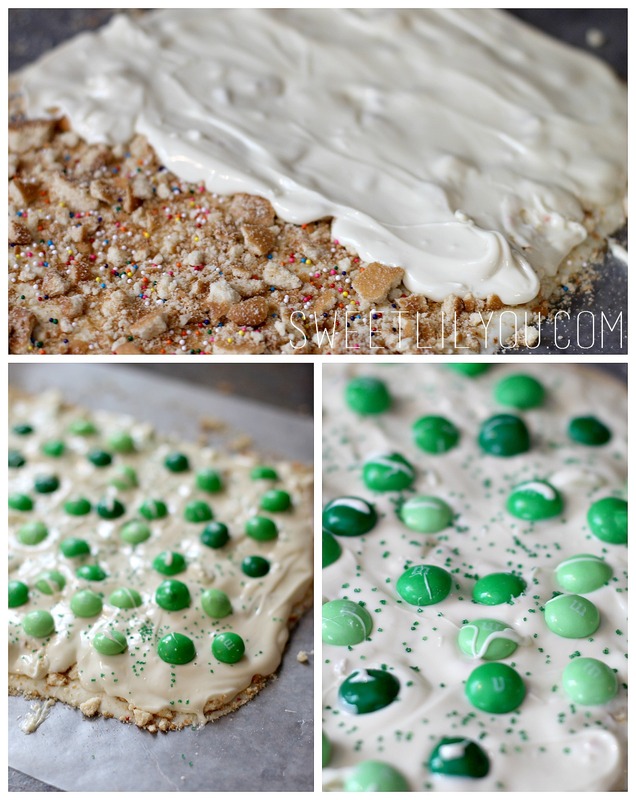 Pour and spread onto the cookies. Now add your candy! Make sure you press the candy into the chocolate so they stick. Add sprinkles if you’d like, and put it back in the refrigerator to harden. Now you’re ready to break or cut your bark into smaller pieces! I cut mine because I liked the way the sharp edges looked. You can package them in a tin, or treat bags, and give as a gift! 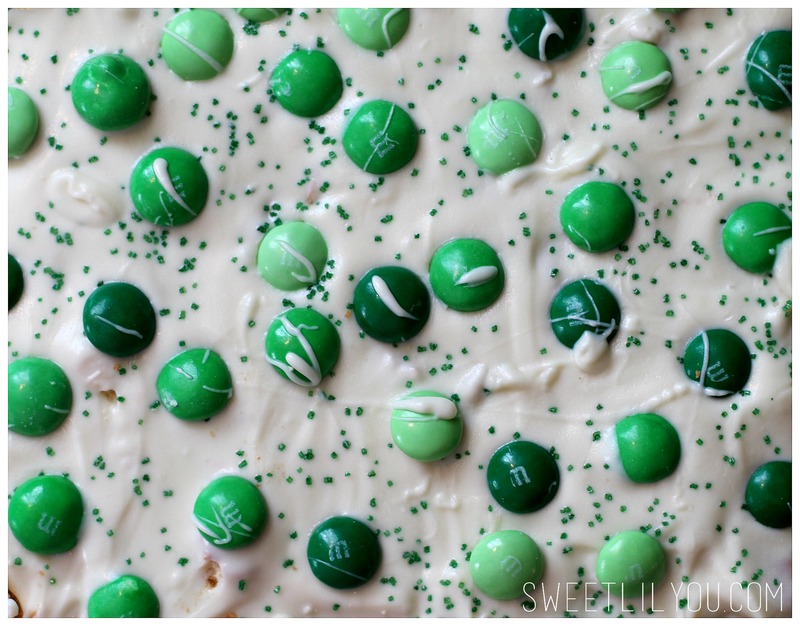 This entry was posted in Recipes, Uncategorized and tagged candy, food, recipe, st patricks day. Sounds delicious! Bark is always a fun treat! This looks so yummy! I’m sharing them on my FB page tonight and telling people they can switch it up for Valentine’s Day if they want, but still use your fun recipe! Yum! This looks so good! And it looks like a lot of fun to make1 My daughter will love it! 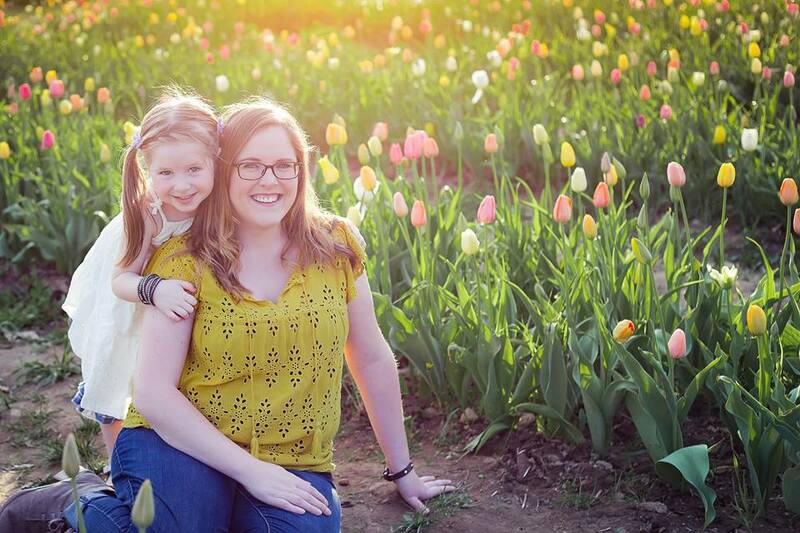 Mistee Dawn recently posted…10 Ways to Help You Save $100 This Month.